The Peninsula Fire Department is now certified for Advanced Life Support, enabling them to save more lives and better serve Peninsula Township residents. 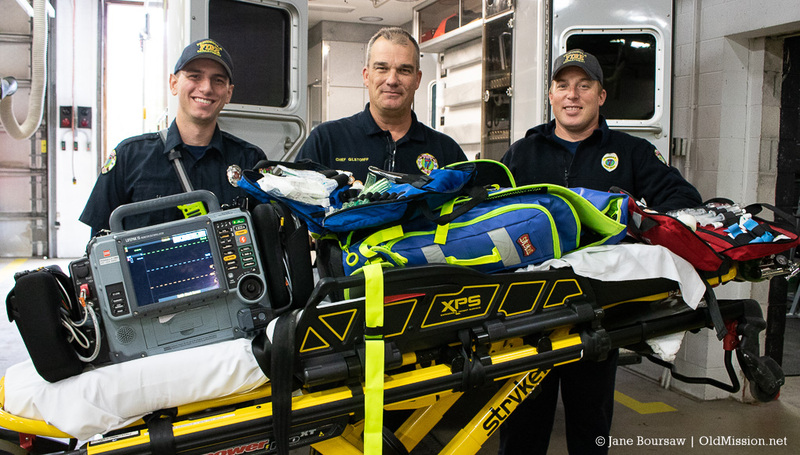 Advanced Life Support (ALS) gives PFD paramedics the ability to offer advanced medical care in the field, including intubation, IV fluids, pain and cardio meds, and vital heart monitoring and stabilization. That’s important with time-sensitive health issues, said PFD Chief Fred Gilstorff. 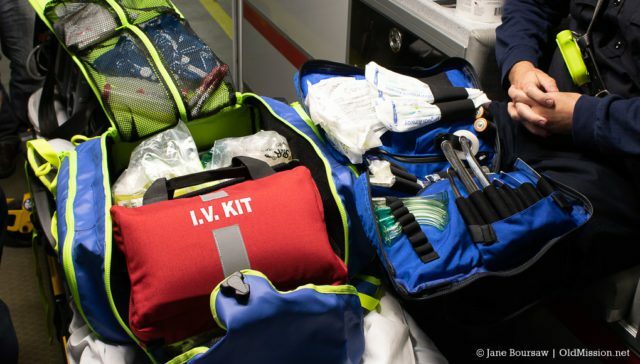 Prior to upgrading to Advanced Life Support, the PFD had Basic Life Support (BLS), which not only didn’t offer life-saving procedures like intubation and IV fluids, but also had limited heart capabilities. Gilstorff said BLS only gave them the ability to take a picture of someone’s heart and monitor the electrical activity. “Those were the only functions we could do with it,” he said. With ALS, PFD paramedics have the ability to cardiovert Peninsula Township residents in the ambulance. This procedure converts an abnormally fast heart rate or other cardiac arrhythmia to a normal rhythm using electricity and/or drugs. Also, ALS gives the fire department the ability to do heart “pacing,” which stabilizes a person’s abnormal heart rate similar to what a pacemaker does. Prior to ALS, the PFD had to wait for advanced intervention through North Flight, an emergency medical service provider in northern Michigan, which while fast, could take up to five to 10 minutes longer to reach Peninsula Township residents – precious minutes when it comes to heart issues. “If somebody’s heart stops, they have four to six minutes before they go into irreversible brain damage,” said Gilstorff. He added that ALS “has ten-folded our abilities to be able to save somebody’s life,” and that since he was hired last year, upgrading the fire department to ALS was a priority for Peninsula Township. Another priority was placing two PFD staff at Fire Station #2 24/7, which Gilstorff said will happen in the very near future. He noted that while they now have eight paramedics – four of which are full-time, including himself – they are looking to hire two to three more to ensure that a paramedic is always available for a call. ALS can only be administered by a paramedic, which means if there’s no paramedic in the ambulance, the care goes back to Basic Life Support. Also, in order to be ALS certified, Gilstorff had to submit a plan that the fire department would be able to offer it 24/7 uninterrupted within two years. Right now, the license is a conditional license. Sicoli, who was hired in July, said he feels fortunate to be with the PFD, not only because he now has the ability to use his paramedic skills, but also because the fire department is growing and able to offer better services overall. Along with paramedics, he said they’re still looking for firefighters and EMTs, especially people who live on the Peninsula. If you’re interested in learning more, call Chief Gilstorff at (231) 223-4443 or (231) 463-0330. Click here for more info about the Peninsula Fire Department.